Mom, the Intern: Three cheers for adopting pets! This post is sponsored by Nakturnal. All expressed opinions are mine. Confession: I am a dog lover. When I was a kid, I desperately wanted a dog of my own, but my parents insisted for years that it just wasn't going to happen. Then, one day, when I was about eight years old, the perfect opportunity to adopt a dog fell into our lap. A friend of my uncle found herself unable to give her 3-year-old black Labrador retriever the type of life she felt she deserved, and she was looking for a family to take care of her sweet dog. We happened to fit the bill, so Isabel joined our home! Isabel, chilling in her baby pool. She loved the water! 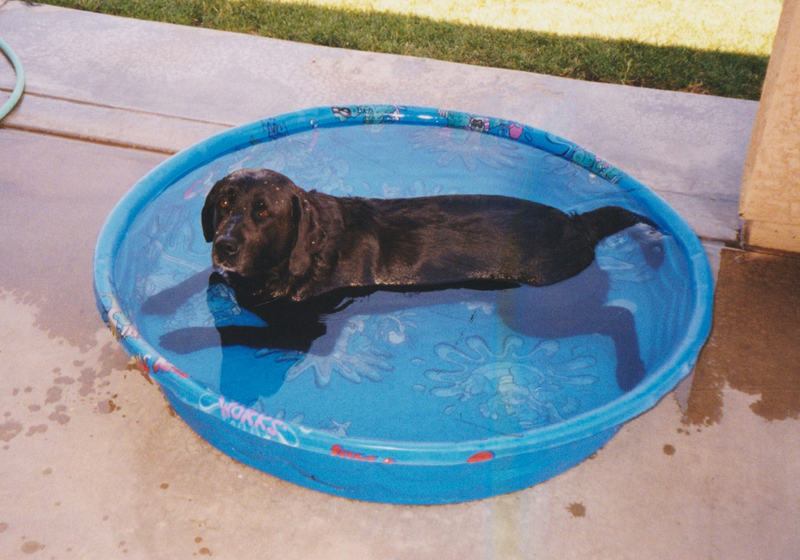 Isabel was the most perfect dog. So happy, friendly, quiet and gentle. She never barked or growled at anyone. She didn't ever need a leash when we would take her out because she would faithfully stay near us. She adored children, which was essential considering there were five in my family. I always felt like she was a loyal friend to me. I spent many days telling her all my problems, and she always provided a listening ear. The best part about Isabel's story is that we were able to adopt her instead of buying her from a breeder or a pricey pet store. Truth is, there are so many pets out there already that need homes. Pet adoption is both an ethical and inexpensive way to add a furry friend to your family. If Isabel had been taken to a shelter, she may have never been adopted and could've missed out on a wonderful life. According to the Humane Society, 2.7 million shelter dogs and cats are euthanized in the United States every year because there aren't enough people adopting the numerous pets that come into the shelters. What a sad fact! Besides the opportunity to save an animal's life, there are plenty of other reasons to adopt a pet. They help you maintain a healthy, active lifestyle, for one thing. You also don't have to house-train them since most shelter animals are adults, and you likely won't need to spay or neuter your pet since shelters often take care of the procedure for you. 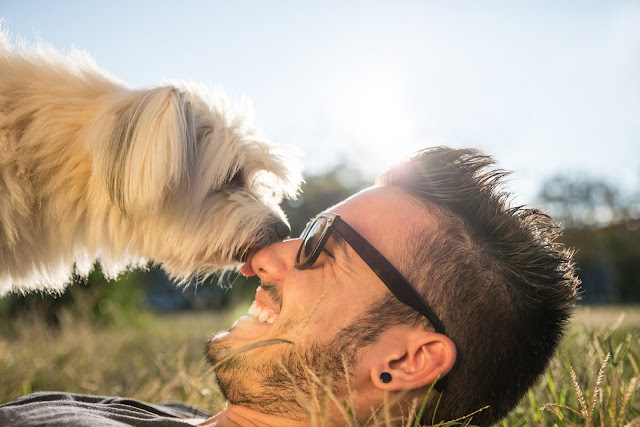 Today, there are also numerous sites which allow for direct pet adoption, meaning you don't even have to go search the shelters for your new companion. You can pull up your browser and see if any cats or dogs look like a good fit for your family without even leaving the house. Last year, we added a pet to our own family through adoption, too! 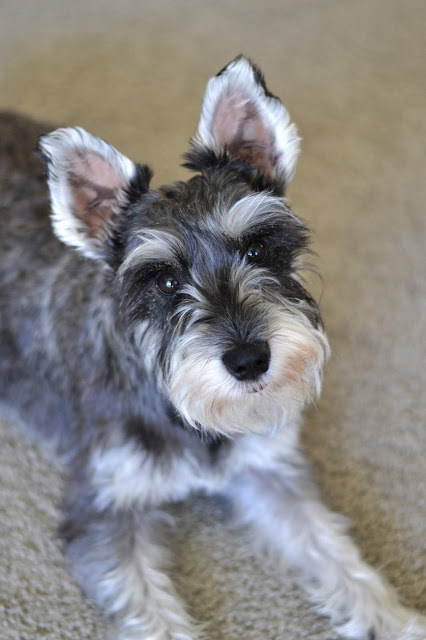 Her name is Tilly, and she's a miniature schnauzer. She's spunky, energetic, cuddly and so much fun. We can't imagine life without her, and we're so grateful we were able to give her a loving home. If you're thinking about bringing a pet into your family, please consider adoption. So many pets with a variety of personalities fill the animal shelters, and you can be the one to rescue a pet who might not otherwise get the chance to have a loving home! So many pets need adopting, I just wish I could adopt them all! However, I'm happy to read that there are many options for people looking to adopt. These pups are so adorable. We've been looking into adopting and I am glad there are so many options out there.